The investigators feel that their work is a first step toward the design of treatments that could be administered to pregnant mothers at high risk for bearing a child with schizophrenia, potentially preventing the disease before it begins. Interestingly, the researchers looked to gain insight into the early brain pathology of schizophrenia by using skin cells from four adults with the disease and four adults without—which were subsequently reprogrammed back into induced pluripotent stem cells and then into neuronal progenitor cells. 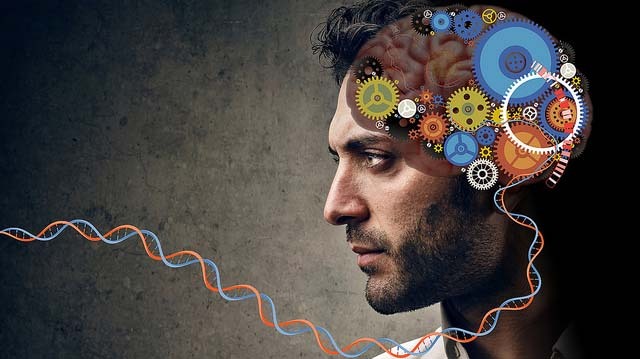 In 2013, Dr. Stachowiak and his colleagues published a hypothesis proposing that a single genomic pathway, called Integrative Nuclear FGFR 1 Signaling (INFS), was a central intersection point for multiple pathways involving more than 1,000 genes believed to be involved in schizophrenia. The team believes that the results from the current study are proof of concept on their initial hypothesis. “This research shows that there is a common dysregulated gene program that may be impacting more than 1,000 genes and that the great majority of those genes are targeted by the dysregulated nuclear FGFR1,” Stachowiak said. When even one of the many schizophrenia-linked genes undergoes mutation, by affecting the INFS, it throws off the development of the brain as a whole, similar to the way that an entire orchestra can be affected by a musician playing just one wrong note. The scientists feel the next step in their research is to use these induced pluripotent stem cells to study further how the genome becomes dysregulated, allowing the disease to develop. “We will utilize this strategy to grow cerebral organoids—mini-brains in a sense—to determine how this genomic dysregulation affects early brain development and to test potential preventive or corrective treatments,” Dr. Stachowiak concluded.